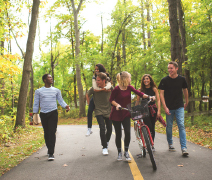 At Grace College, you will receive an exemplary education that’s centered on Jesus. You’ll join a community with a reputation for innovation and a commitment to discipleship. You’ll learn in real-world settings and graduate career ready, all without acquiring a mountain of debt. 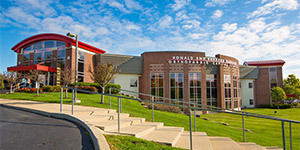 Almost all Grace College degrees can be earned in three years with our optional accelerated degree program. You can graduate earlier and get into the marketplace faster, or earn a bachelor’s and master’s degree in just four years total. The faculty and staff are committed to your growth from your first year to your last. We recognize that graduating career ready isn’t just about knowing your vocation of choice—it’s about learning people skills, how to be a mature adult, how to learn, how to be honest and open, and how to be someone who stands apart from the crowd. We want students who depend on Christ in the good and the bad to mold them into men and women with integrity and a deep and pure love for others. Doing our best for our Savior includes being competent and knowledgeable. Our faculty know that academic excellence involves not only in-depth classwork but gaining hands-on experience. Grace partners with over 250 area businesses and organizations to provide students with opportunities to apply their classroom learning in real-world environments, which adds great experience to any résumé! We’re steadfastly committed to the truth of God’s Word and the power of Jesus to transform our lives for His glory. When you graduate from Grace, your biblical world-view will serve you at the most pressing times in your personal and professional lives. 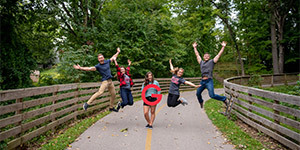 Grace College is a Christ-centered, biblically grounded community that develops caring, confident, and career-ready students prepared to live lives of purpose. Degrees—Grace offers more than 70 undergraduate degrees as well as flexible online graduate degrees, degree completion programs, and highly affordable associate degrees. Athletics (NCAA/NAIA)—There are plenty of sports to choose from, including varsity, JV, and club teams. Last year, Grace had 41 NAIA Scholar Athletes (juniors and seniors with a GPA greater than 3.5). Textbooks for free—All undergraduate students receive free textbook rentals, which means more money in your pocket! No tuition increases—Most colleges increase tuition each year. At Grace, your tuition will never be higher than your first year of enrollment. We think you are ONE OF US! Schedule a visit today—see grace.edu or call 866-974-7223.